After quoting endless times in each wishlist that you have and finally owning that product which you longed for since long long time…it’s indeed a very special moment, isn’t it? 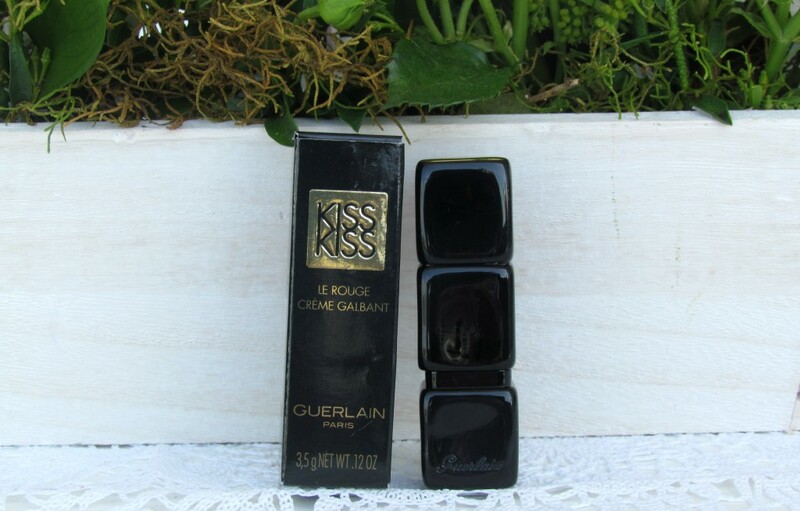 I was completely bowled by Guerlain KissKiss. I am not sure why I was getting so addicted to it. It could have been luxury packaging. 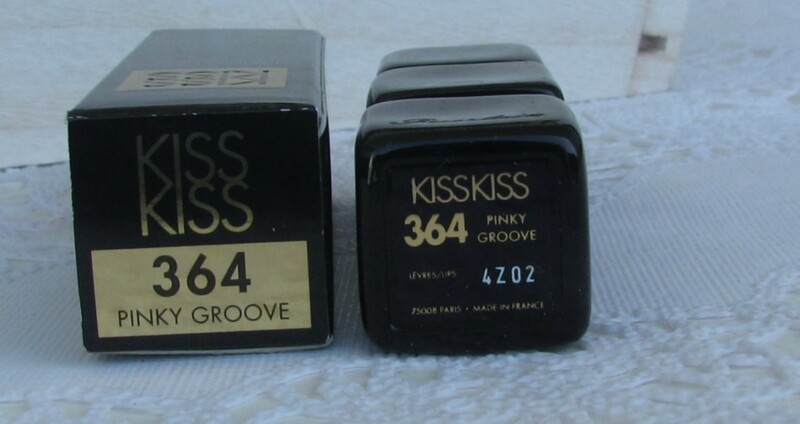 Anyways, presenting my first Guerlain product ever – Guerlain Paris KissKiss Lipstick – Pinky Groove. I shopped this from Smith & Caughey’s NZ here along with few other items. Have you checked my 28th Birthday haul yet. KissKiss surprises us once again by slipping into a precious and graceful little black dress. Its understated case shows off infinitely elegant curves. A tube transformed into a work of art, a sculptural jewel developed like three sleek cubes. Simply chic! In perfect harmony with feminine curves, lips immediately regain their fullness and softness thanks to a formula enriched with plumping hyaluronic acid spheres. In parallel, Commiphora oil helps smooth the lip surface. This lipstick leaves lips with covetable color and ultra-comfortable texture. It is enriched with hydrating mango butter and hyaluronic acid spheres, which plump lips, while its balanced hue and radiance offers a satiny, vibrant finish that’s budge-proof. Guerlain KissKiss Lipstick Collection comes in 25 shades – The colors include pinks, reds, oranges and neutrals. 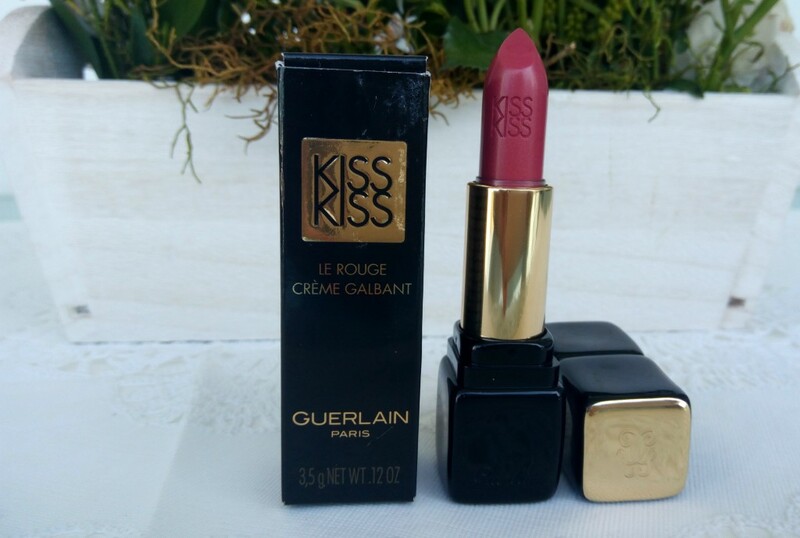 Packaging – Starting my review by talking about the packaging- Guerlain did an excellent job in making the lipstick look luxurious, sleek black lacquer case with the perfect “click” and “KissKiss” imprint on the bullet. 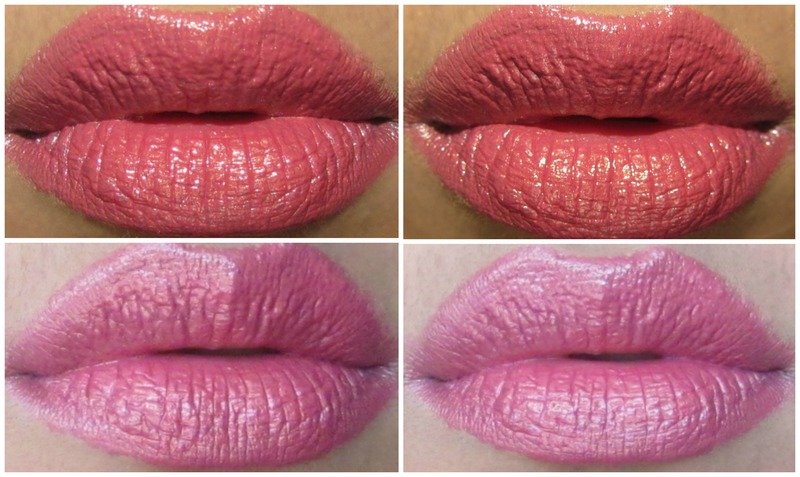 Lipstick tube is itself a work of art, elegance and beauty. The 3 cubes have elegant black curves for a classic look that matches every trend. 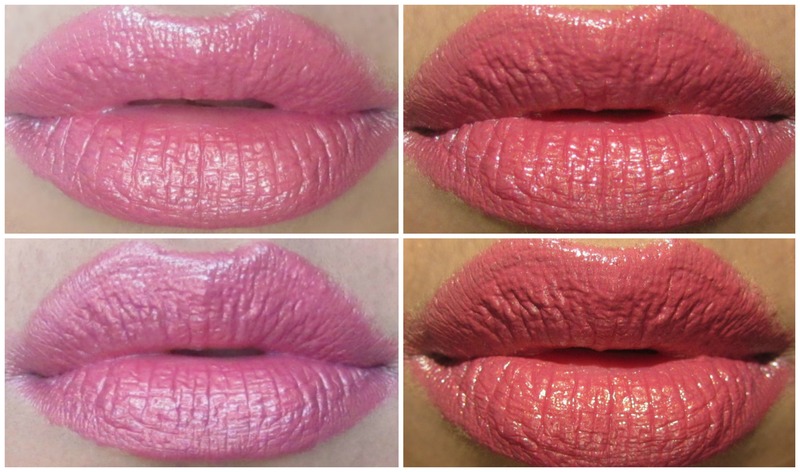 This is one lipstick you’ll love pulling out of your handbag! More than a lipstick, It’s a symbol of femininity. Guerlain lipstick has a slight vanilla/ violet flavour to it. While applying the lipstick you will feel this. 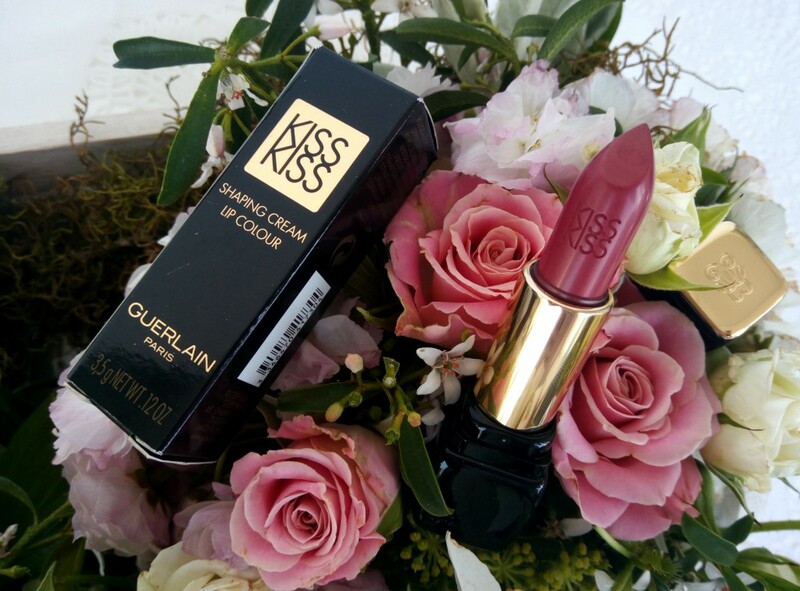 Formula – Guerlain KissKiss Lipstick is enriched with hydrating mango butter and hyaluronic acid spheres which plump lips. 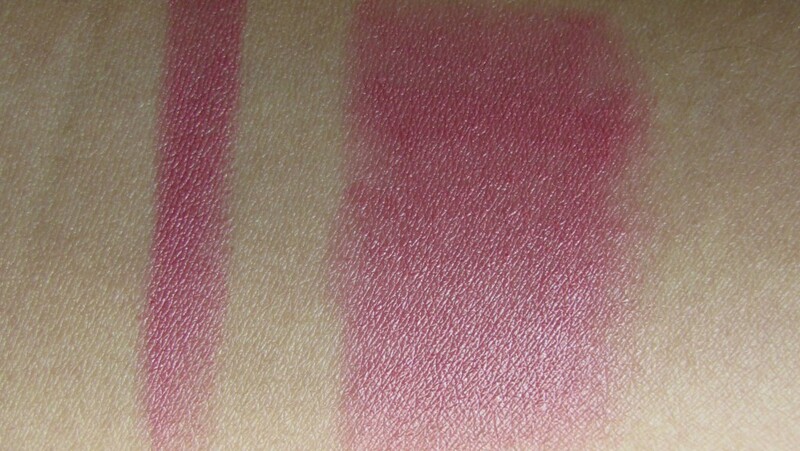 Texture, Pigmentation – It is a cream finish, berry mauve lipstick with subtle gold shimmers/frosty sheen to it. It is absolutely gorgeous! Pinky Groove applies smooth on lips – just a few swipes of it adds more intense color on to the lips! I like to use it as a day wear shade. Longevity – The formula didn’t dry out my lips, but it did settle into the lip creases slightly. I managed a total wear time of about six hours before noticing significant fading and a little bit of feathering around the edges of my lips. Overall, you’ve to admire how nicely the micro shimmers are packed in the formula. Guerlain does their shimmer right. Shimmers are super fine and you will not feel it even if you rub the lips together and also it wears off with the lipstick. It’s not noticeable too. See, if you can see the shimmers on the swatch or LOTDs. I got a wear time of 6 hours and I am quite happy with the purchase. The packaging looks awesome and the shade is perfect for a day wear. 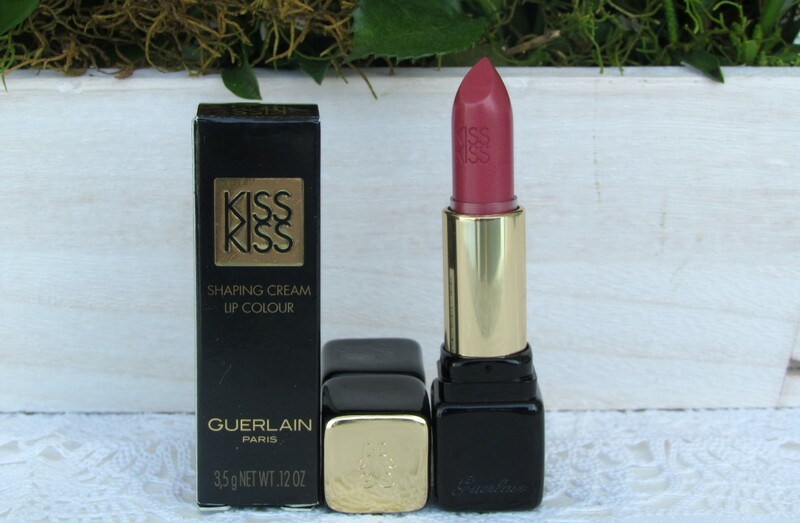 Have you tried any Guerlain Lipsticks ? Which is your favorite color ? Wow love the color. Soooo pretty!! That’s a very pretty pink shade.